Team Vinyl and Roofing Co. is proud to have partnered with asphalt shingles from GAF - founded in 1886 GAF has become North America's largest manufacturer of commercial and residential roofing of asphalt shingles and related components in the United States for the past seven years. GAF manufactures the industry's most extensive line of asphalt shingles with their relentless pursuit of quality, combined with industry-leading expertise and comprehensive roofing solutions. Pioneering the concept of multi-layered shingles, also known as architectural or designer shingles, GAF has also been an industry leader in color innovation with complex color blending technology and the introduction of bold designer shingle colors such as variegated browns to reds, blues to greens, grays to blacks and beiges to golds. When your roof is on the line - and you want to protect the things you treasure the most - only the best will do! When the general public thinks of roofing materials, the first type they think of is traditional asphalt shingle roofing. 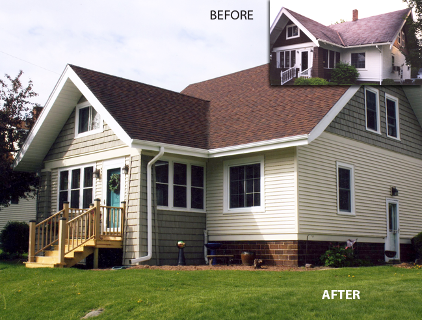 Across the country, asphalt shingles have been a traditional choice for hundreds of years. Durable and versatile, asphalt shingle roofing can be fit to nearly any home, creating a classic aesthetic appeal. For over 30-plus years Team Vinyl and Roofing Co. is the roofing company New Hampshire and Vermont residents count on for superior quality asphalt shingle roof installations. Whether you’re completely replacing your existing roof or you’re adding on a new roof to an addition, sunroom or porch, you can count on for the Team Vinyl and Roofing Co. high-quality products and award-winning service. So, how can you know if you need new roofing? Aside from the obvious issues such as leaking, water damage, or other unavoidable problems, there are other signals to watch out for. If you see that any part of your roof has started to crack, warp, has missing shingles, or any of the parts are deteriorating, it’s time to look into new roofing. When you’re ready to get started on your new roofing installation, Team Vinyl and Roofing Co. will send a knowledgeable, professional roofer to your home to work with you on identifying your roof’s needs and selecting the best system for your unique situation. Homeowners have so many more choices than ever before! 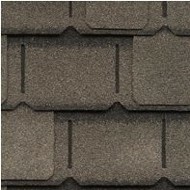 Asphalt shingles are now available in a wide variety of shapes and sizes. Asphalt shingles can be reinforced with either organic or fiberglass materials. Although organic reinforced shingles have been around longer, fiberglass reinforced shingles have come to dominate the market. From basic to designer, GAF has a vast collection to meet the combination of style, color and price to suit your taste and budget. Click on the roofing samples below to zoom in on your new roof system of choice! Basic protection for projects on a limited budget. Traditional 3-tab shingles are a one-piece base shingle with three cutout slots from end to end of each shingle and originally designed to replicate the traditional slate roofing look. 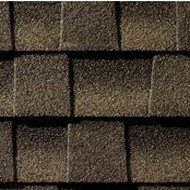 These shingles give an even appearance across a roof and come in a variety of colors and warranties ranging from 25 - 30 years. Your best investment for a wide variety of ultra-dimensional wood-shake look. Timberline HD's and Timberline HD Ultra's are North Americas #1 seller. Featuring multi-layered construction with random tabs or pads applied to a base shingle to achieve added ultra-dimensional and replicate the look of wood shakes. The ultras are up to 53% thicker than standard architectural shingles. Timberline also offers a highly reflective Energy Star cool series architectural roofing shingle to help reduce cooling cost. Lifetime Warranties. Wide collection of beautiful, stylish, and exceptionally durable luxury shingles. 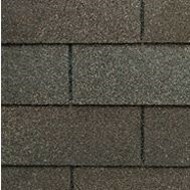 These heavyweight shingles are up to 53% thicker, consisting of a minimum of two full-sized shingles laminated together. Features include deep shadow lines, and up to a dramatic eight-inch exposure rugged look, and a minimum of four times the protection of a conventional shingle. Lifetime warranties. With so many choices to make, Team Vinyl and Roofing Co.'s committed team of professionals make it easy, with having the experience and expertise to help you make the appropriate decisions for a beautiful, durable roofing system that fits your home -- so you may focus on the more important things - like those you love under your roof. Call Today For Your Shingle Roofing Estimate! For a roofing shingle repair, shingle replacement, or new shingle installation "free no-obligation estimate”, and information about our industry leading shingle roofing warranties, call (603) 336-3393 or contact us by filling out our quick form online. We are proudly located at the same Hinsdale, NH address for over 30 plus years. Are you in or near one of the above locations, and not seeing your city or town listed? Contact Us today to see how we can help!